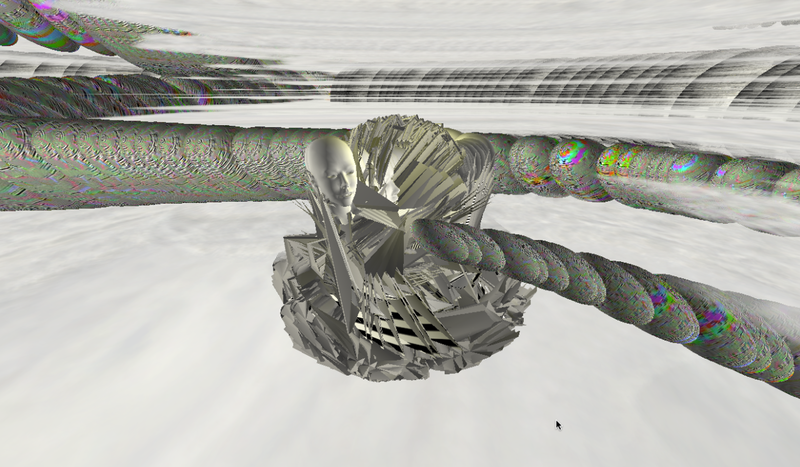 Compress Process, 2012 is the latest great project by Rosa Menkman. 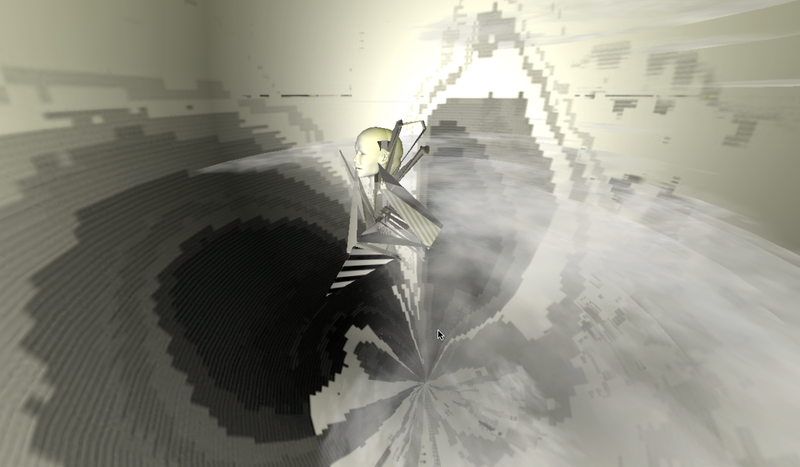 It is an online virtual environment where Menkman has transported a big part of her glitches, errors and distortions as an interactive virtual form. It's quite exciting to see the work of Rosa taking this interactive direction as in this way we can feel and explore more those glitches. 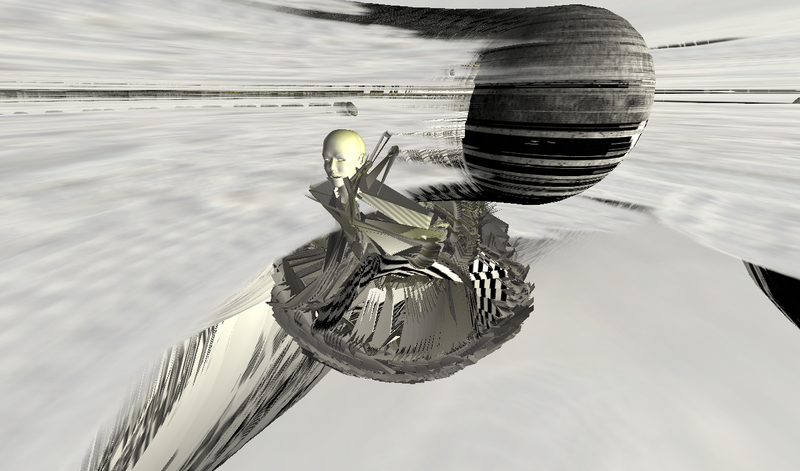 A monochromatic cloudy world, where the user controls an abstract body created of some de-structured polygons, robotic extremities and a human head, it goes around the environment contemplating the different kind of distortions which happens while you moves it. (Navigate with the arrow keys, use spacebar for jumping and to toggle videos on/off) you can try it here into the post as Rosa Menkman has had the pleasure to leave us to embed the piece here! Whenever I use a 'normal', transparent technology, I aim to see 'through' the actual machine. I have learned to unsee its interface and all structural components, to be able to understand its message and use the technology as fast as possible. In a way I have learned to become blind to (certain parts of) technology. Similar lines of development have taken place in my perception of sound. As Canadian composer R. Murray Schafer wrote: "We have no ear lids. We are condemned to listen. But this does not mean our ears are always open." Over the years I have learned to close my ear lids and even might have lost (or never developed) some of the sensitivities needed for 'deep listening' (or 'deep watching'). The quest to make the public re-hear certain sounds, to educate the listener and to 'open up ear lids', has been a subject pursued by many different sound artists. Acousmatics for instance, a strand of sound art developed by the French composer and pioneer of musique concrète Pierre Schaeffer, lets the audience listen to the sounds originating from behind a "black veil". The source or instrument of the sound remains unseen and unknown while the non-representational or formalist sound forces the audience to focus on active listening. Another example can be found in Murray Schafers work on soundscapes. In his book The Tuning of the World (1977), Schafer created a subdivision between the different sounds in the world. He uses this not only as a compositional structure, but also to educate his students about the many sounds they have grown accustomed to and as a result no longer hear. 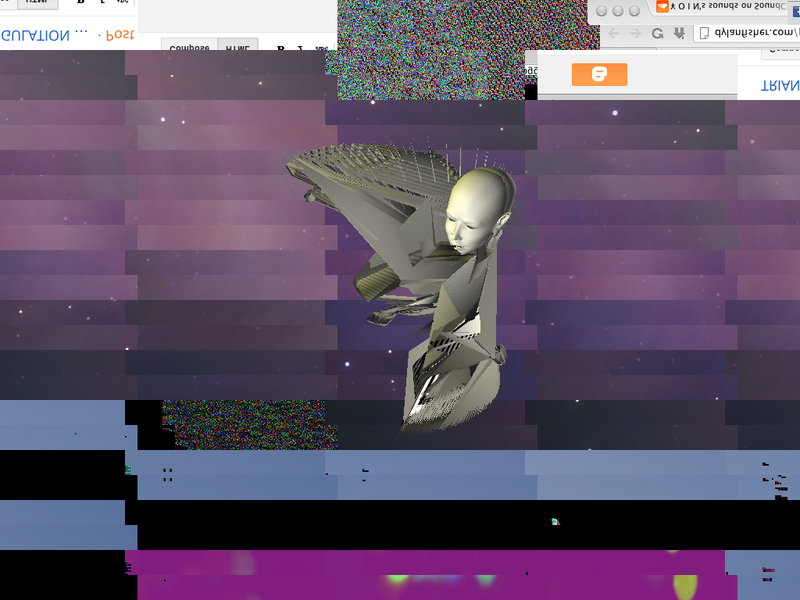 Glitch art (which is a derivative of technological glitch) is an art form that uses glitches not just on a technological level, but also conceptually and esthetically. While watching glitch art, the audience perceives glitches without (often) knowing how they came about, which gives them an opportunity to concentrate on their form - to interpret its structures and to learn more from what can actually be seen. 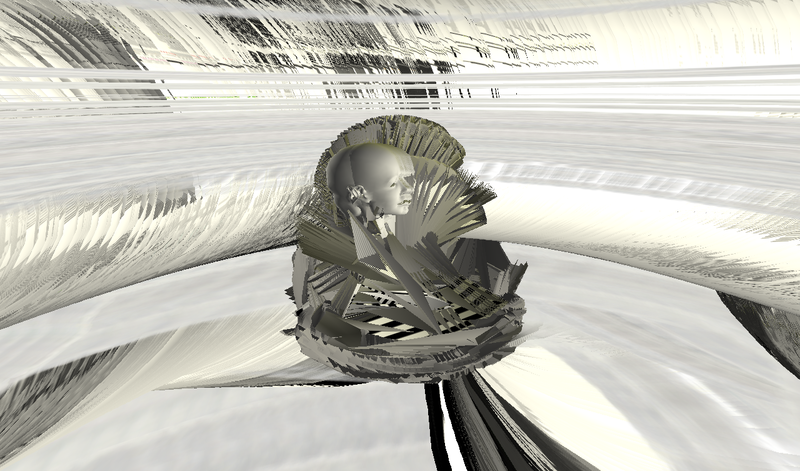 In a sense many glitches follow the principle of acousmatics visually. 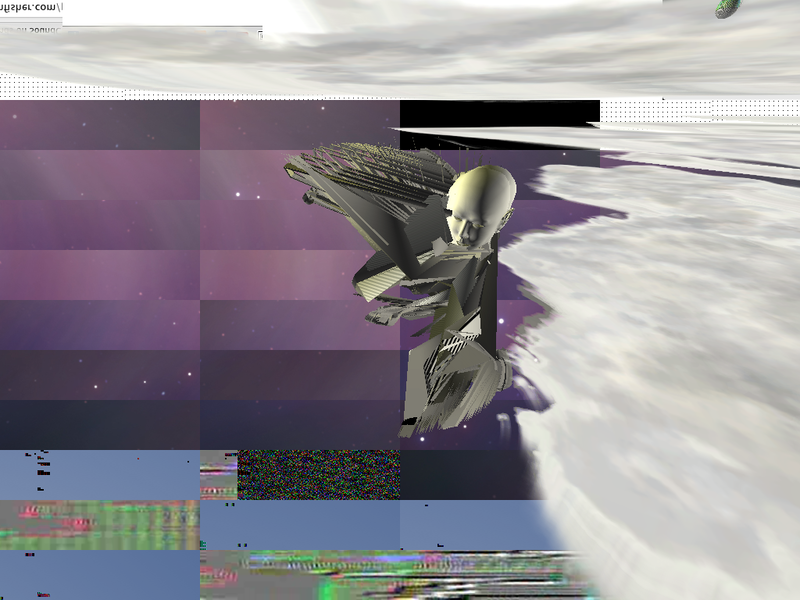 The main subject of most glitch art is 'critical perception'. Critical in this sense is twofold; either criticizing the way technology is conventionally perceived, or showing the medium in a critical state. 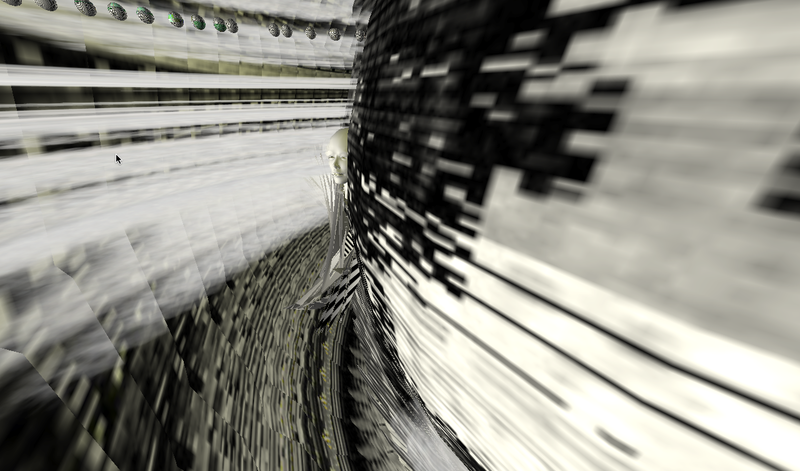 Glitches release a critical potential that forces the viewer to actively reflect on the technology. The acousmatic videoscape thus uses critical trans-media aesthetics to theorize the human thinking about technology; it creates an opportunity for self reflexivity, self critique and self expression. Play it here (below), please wait until to load it.